Well, you know I have been talking about having a giveaway for awhile and I have finally figure out what the prizes will be, but first simply leave a comment, and in your comment make sure there is a way for me to contact you. Would you like an extra chance to win? If so, post a link on your blog to this giveaway, and then come back and leave another comment telling me that you've posted about this on your blog! I will be using a random generator for randomly choosing the lucky winner. Please, make sure to leave that extra comment if you've blogged about this. Now, let me tell you what the prizes are! 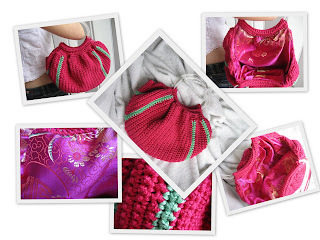 1 - A fat bottom bag, crocheted in pink cotton yarn with green stripes, the yarn is from Brazil. The bag has acrylic handles and is lined with pink satin fabric. 2 - A blue rag tote, made with never used 100% cotton fabric. 3 - And last, but not least you can go to my etsy shop and choose your favorite crochet necklace, there is quite a selection of them there. The winners will be announced on Sunday (04/19). I've posted a link to your giveaway on my blog. I hope you get lots of responses for your giveaway. Yipee Chi Yay Cho Yo! What a GREAT giveaway! Wow! Count me in! You an contact me by clicking on my name. :O) What great prizes! are you giving away the kitchen sink to go along with this. my goodness girl....great, no wait....awesome stuff!!! You can contact me by email (it is on my blog). Oh oh oh! pick me! pick me!!! lol! that pink bag is screaming my name! :D you know how to contact me, right? THERE! I've posted about your giveaway... please let it be me who wins any of those gorgeous prizes!!! I love both of the bags and I my favorite crochet necklace is the brown. I'm back...here for a 2nd entry....I have posted your giveaway on my blogspot. I'd love to win one of your prizes! 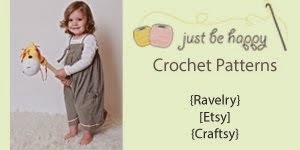 This is my first visit to your site...came over by way of lovely little handmades! my word! What a great giveaway! OOOOH if I win a necklace I'm going to have trouble deciding what colour! crossing my fingers-thanks for the chance to win! I am a huge fan of all of your work! I can be contacted by email found on my flickr account as well! Thanks for the giveaway info Libby!! Wow I like the Brown Crochet Necklace with Buttons!!! I found out about this from Kerri on her site! Looks like a fabulous give-away... I hope I win!!! You can contact me by clicking on my name. Thanks!! what a fabulous giveaway....count me in! What lovely things you have! Love the bags. Very lovely gifties! 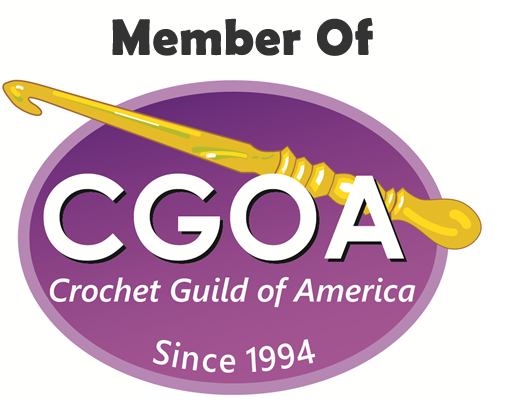 I do a little crochet, but haven't in the longest time. I've been into quilting lately, but with new grandbabies being added every year, I'd like to do a few saques, booties and bonnets sometime. I love the internet for finding free patterns! Oh fun! You know where to find me! Cute, cute give away! thanks for the extra chance!! i sure hope i win!! Great giveaway! Hope I get picked! I have missed the giveaway so sorry! You are SOOOO talented! I think I'm late...I'll be looking for your next giveaway! LOVE your etsy shop. It's so nice to meet you!